As most readers know, our policy is to look at gear and gadgets which we think provide something unique or interesting to the mix. 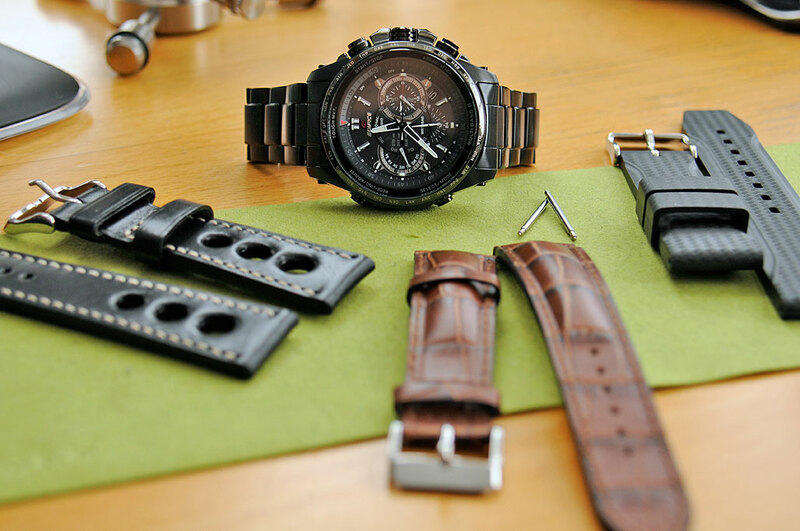 As with other watches we have reviewed, the Casio Edifice 720 featured something we had never looked at before. It took us a lot longer to evaluate this watch not because of the various functions available in this timepiece (which are many), but because we really wanted to see how we would like traveling with it. After almost a year, we finally feel that we are in a position to give some comments on the Casio Edifice 720. 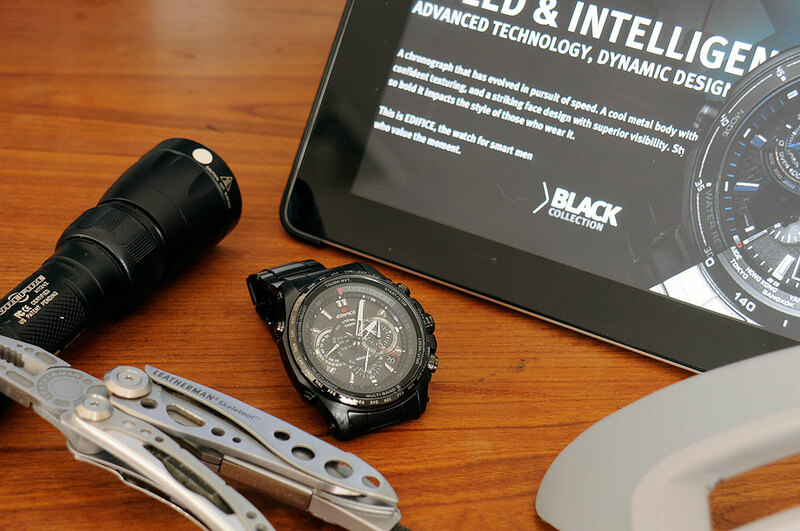 We had to put off the FirstUse writeup for so long because we had to wait until we had a chance to take the Edifice 720 on a couple of trips that crossed time zones. The 720 had other functions (chronograph, calendar, etc) we could have discussed, but since they operated pretty much as expected we felt that readers could get that that stuff from reviews available elsewhere. For us, the unique feature of the Casio Edifice 720 is the automatic time-calibration function. The watch has a built-in receiver which enables it to stay accurate anywhere in the world, by checking itself six times a day against the Multi-Band Atomic Timekeeping calibration radio signals (found in the US, the UK, Germany, Japan, and China). The feature works as advertised and is a great convenience when moving through several time zones in one day (such as a cross-country flight with layovers). Along with the automatic time-calibration, the watch also has auto-hand adjustment capability, which checks and adjusts hand positioning at fifty-five minutes after every hour. An LED is used to detect hand-gear positioning against the internal time counter. If an inconsistency is detected, the watch will self-correct. The impressive part is that this feature will work even if the error was caused by magnetic force or shock. We can also attest to the toughness of the mineral crystal as we have banged it against both metal and stone. The first time was bouncing it against a stainless steel table top after going through airport security. The second time was scraping it on the cement sidewalk after a spill. The face came through both incidents without any visible damage, which we can’t say of the back of the (human) hand when we took that tumble. The one small point we have with the watch is that the second hand and the numbers around the inside rim can be difficult to see, even in a normally-lit room. The gray numbers do not really stand out against the dark background. For the InTheWild update, we plan to swap out the multi-link OEM band for these high quality aftermaket straps (Grand Prix Racing, Alligator Grain, Carbon Fiber Print) from our friends at StrappedForTime and see how we feel about the watch after a few more months. Best Gear&Gadget Find of 2016!